French pharmacy brands have never been more popular; we seem to crave not only their continental charm, but their knowledge and unrivaled understanding of the way skin behaves. 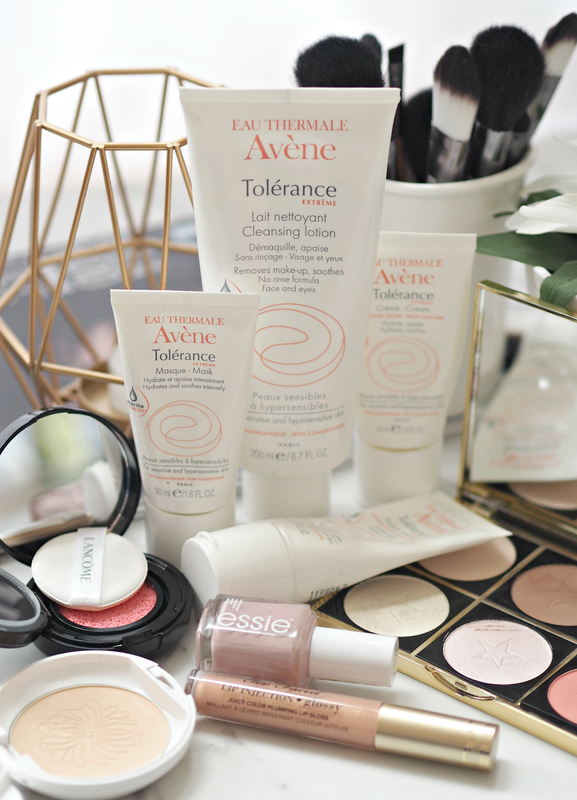 Eau Thermale Avène has gradually become one of those brands with almost cult-like status amongst their dedicated consumers, as word of mouth recommendations help to spread the message that this is a company that really knows skin. Their newly launched Tolérance EXTRÊME range encapsulates that completely, as each of the four products (including a cleansing lotion, mask, emulsion and cream) contain only seven individual ingredients. We’re so used to seeing hugely long lists of twenty to fifty ingredients in any one product, so this concept is really quite revolutionary; they’ve managed to cut out any unnecessary irritants (thanks to the sterile cap that removes the need for preservatives) and focus on the elements that will genuinely benefit the skin. You can read my original feature here, which gives you more information on the technology and individual ingredients that make up each of the four skincare saviours, but I’ve been putting them to the test over the last month or so to see how I got on when taking my routine back to basics. So, what are my thoughts? and all levels of sensitivity, but it’s a great staple to have within any regime; it’s quick to absorb and non-greasy, adding a touch of moisture to skin without overloading the surface. Although I’m used to using creams that provide much more of a sensorial experience (through smell, texture and the application process,) this straightforward addition to my routine meant I just got on with it and applied only when I knew I needed a touch of moisture. As I’m lucky enough to have good skin (especially for my age) with no real concerns or issues, I don’t need to overload it with tonnes of different products; this definitely encouraged me to strip back my regime and reflect upon what my skin actually needed – rather than just layering up my face for the sake of it. In a similar capacity, the Avène Tolérance EXTRÊME Cream (£15.00) provided a slightly richer experience that was perfect for use overnight. Although I do think you probably only need one or the other, depending upon your skin’s hydration levels, it’s a beautifully rich cream that really does help to plump the complexion with moisture. As a little extra boost, the Avène Tolérance EXTRÊME Mask (£15.00) contains Shea Butter and Safflower Oil (rich in Vitamin E) to help deeply nourish the skin and leave the texture feeling super soft. Again, if you don’t have any real skincare issues other than being in need of a serious hydration injection, this is a great thrice-weekly treat to keep your skin looking and feeling fab. Personally I prefer to target specific issues with my masks (be it detoxing, targeting fine lines, plumping skin or refreshing after a long day) and enjoy them while slipping into a warm bath, so this didn’t provide the sensory experience I normally look for – however, as a ten minute boost in the morning before hopping in the shower, it works a treat. 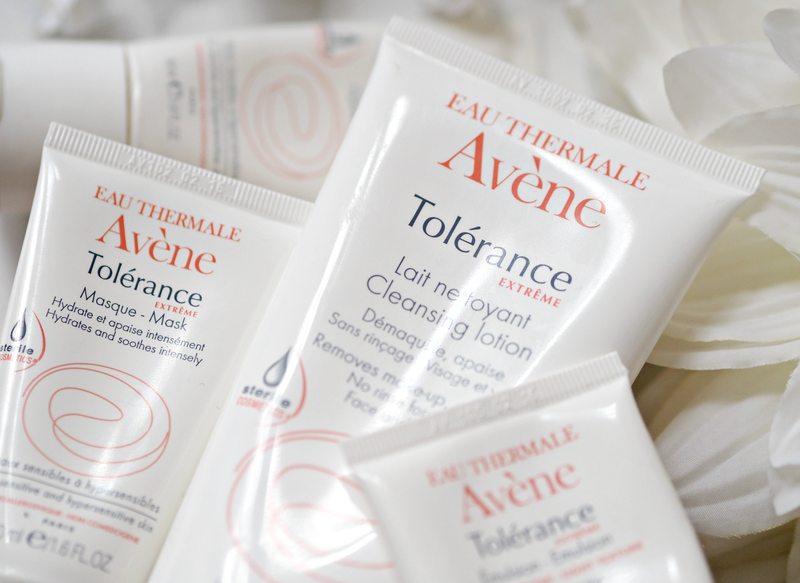 The main product that didn’t work for me personally was the Avène Tolérance EXTRÊME Cleansing Lotion (£19.50). There’s not to say there was anything wrong with it (there absolutely wasn’t!) but it just wassn’t my cup of tea. I’m a little bit addicted to luxurious feeling cleansing oils and balms, so reverting back to a cream cleanser was a hard task; I felt it took a couple of cleanses to effectively lift away the dirt, grime and makeup from the day, while it wasn’t suitable for removing my eye makeup at all. (That’s why I like cleansing oils and balms – I can just massage them all over my face and remove everything in sixty seconds!) It works great as a second cleanse to prevent stripping away of any essential oils from the skin’s surface, and I can imagine is a dream come true if the usual oils and balms irritate your skin, but for me personally I look for something a little more from my evening cleanse. However, I’m definitely not the primary target market for such a clean cut and stripped back range: this has been developed for those with sensitive, easily irritated and inflamed skin that just want to look after it in the best way. Does the thoughts of skincare with only seven ingredients appeal to you? Do you struggle to find products that don’t irritate your skin? They're not night creams as such – just a richer version I used at night. My boyfriend loves it though. These aren't natural – just to offer clarity! But there aren't the preservatives that are often seen in abundance in other skincare products. Yeah it's a great cleanser, but equally I do enjoy the sensorial experience I get from my balms and oils!